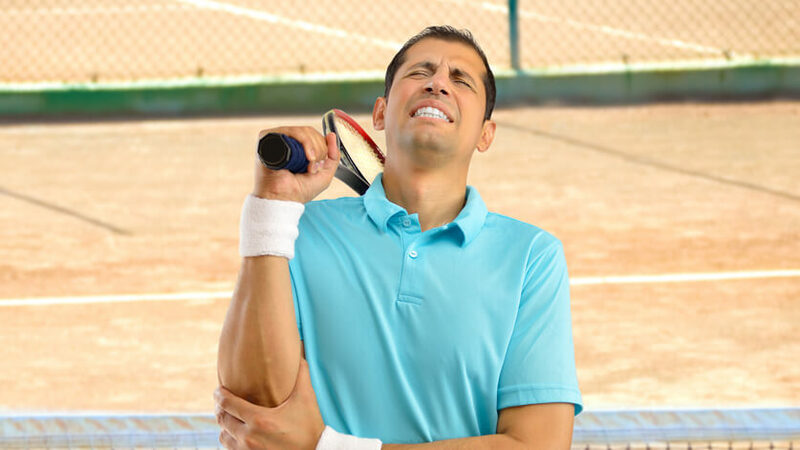 Despite the name, Tennis Elbow can effect even non-tennis players. Any kind of repetitive physical activity can lead to this type of injury. It causes intolerable pain and you often have difficulty in lifting objects. Tennis Elbow effects the muscles and tendons of your forearm. Gradually, the pain extends from the forearm to your fingers. The pain becomes even more intense when you try to raise your hand, hold an object, make a fist, or other such movement involving your arms/ hands. Pain-killers only provide temporary relief. That’s why many healthcare experts suggest chiropractic care for the problem. Chiropractors have found routing and proper chiropractic care and manipulation of the body helps repair the problem and may even keep it from returning. This natural, drug-free way of healing has no side-effects. Wrist Extension: Motion exercises are vital for a tennis elbow Set your elbow at a right angle. Keep your palm-up on the table. Slowly life your wrist up off the table (Do not do this if you experience severe pain) Repeat this extension 10 times. Wrist Stretches: Stretch your problem arm in front of you. Make sure your palm is facing down. With your other hand, slowly pull the first hand and fingers back to you. Hold this position for 30 seconds. Do this three times. Towel Twist: Hold a towel and sit on a chair. Relax your shoulders. Use both hands to twist the towel in opposite directions as if you’re wringing out water. Do this ten times. Fist Clench: While seated, place your forearm on the table with your palm facing upward. Roll a towel into a small ball-like shape and hold it. Squeeze the towel and hold the position for 10 seconds. Repeat ten times. Chiropractic experience counts. Scott Jutte, your Dickson Chiropractic chiropractor has over 27 years experience and in-depth knowledge about chiropractic techniques. Visit http://dickson-chiropractic.com to learn more.